Andaman Trip, Welcome to home to some of the cleanest islands, the pristine white sands in India, Short Trip to Andaman beckon you to discover this beautiful Andaman and Nicobar Islands . From visiting the capital Port Blair, Rover Holidays have packed all the fun for you. Golden triangle trip promise that this will be one of the most memorable holidays of your life, Rover Holidays travel specialists have put their best expertise to create this lucrative package for you. Short Tour to Andaman is incomplete without visiting one of India's Most beatuitful beach Radhanagar Beach at Havelock Island With the capital city Delhi, agra and Jaipur. As you arrive in Delhi, the capital city of India, a representative from Rover Holidays will receive you from New Delhi International Airport with warm welcome and make a smooth transfer to the hotel. Freshen up and relax. Spend remaining time as per you own liking. Dinner and overnight stay will be at the hotel. Take a very hearty breakfast at the hotel and then proceed for day long guide city tour of Delhi. Key attractions visit in Delhi include Red Fort (the Lal Quila) - a UNESCO World Heritage Site, Jama Masjid - the largest mosque of India, Rajghat - the final resting place of Mahatma Gandhi, Qutub Minar - the longest brick minaret in world and a UNESCO World Heritage Site, Humayun’s Tomb - a UNESCO World Heritage Site, National Gandhi Museum (Gandhi Memorial), Laxmi Narayan Temple - the Birla Mandir, India Gate War Memorial, President House - Rashtrapati Bhawan, Parliament House - Sansad Bhawan, Lotus Temple - the Bahai House of Worship, Akshardham Temple - the largest Hindu Temple complex in the world, Old Fort - Purana Quila, and several others. On time get back to the hotel for dinner and overnight stay. Take hearty breakfast at the hotel and then leave for Agra in Uttar Pradesh by road. Check in at the pre-booked hotel upon reaching there. Freshen up and relax for some time. Later proceed to explore the Mughal City of Agra where you will have a great opportunity to several Mughal Monuments known for their spectacular architectural styles and beauty. Visit the magnificent Taj Mahal built in white marble by Mughal Emperor Shah Jahan in the loving memory of his most darling wife Mumtaz Mahal. The Taj Mahal, India’s start attraction, is one of the most visited and beautiful buildings in the world. It is the finest example of Mughal architecture in the world. Lovingly known as the Symbol of Love, the beauty of the Taj Mahal will never fail to lure you. It is also a UNESCO World Heritage Site and considered to be one of the Seventh Wonders of the World. Later, visit the grand and historical Agra Fort, also called the Red Fort or Lal Quila of Agra. Built in red sandstone, the fort complex consists of several beautiful structures. It is also a UNESCO World Heritage Site. This fort complex was constructed by Mughal Emperor Akbar. Later, proceed to visit the beautiful Itimad-ud-Daulah Tomb which is also called the Baby Taj or Jewel Box or Little Taj Mahal. This spectacular mausoleum was built by Mughal Empress Noor Jahan, the wife of Mughal Emperor Jahangir, in the memory of her father. In the evening explore local colorful bazaars and do some shopping. On time get back to the hotel for dinner and overnight stay. Have a very hearty breakfast and then check out from the hotel in Agra. Later leave for Jaipur, the capital and largest city of Rajasthan state. En route stop at the Mughal’s abandoned capital Fatehpur Sikri. Fatehpur Sikri is a UNESCO World Heritage Site located in the district of Agra, Uttar Pradesh. Here you will see several magnificent monuments and ruins of ancient buildings. Major attractions to see here include Buland Darwaza, Jodha Bai Palace, Panch Mahal, Jama Masjid, Birbal Museum, and Dargah. Continue your journey to reach Jaipur, lovingly called the Pink City of India. Take your breakfast at the hotel restaurant. Later embark on full day guided city tour of Jaipur, the Pink City. Visit to the Amber Fort located in the outskirts of the main Jaipur city. Opt for elephant ride to ascend the fort complex situated atop a hill. Also visit the nearby forts - Jaigarh Fort and Nahargarh Fort. Return to main city visiting en route Jal Mahal. Later explore city attractions like City Palace, City Palace Museum, Chandra Mahal, Govind Devji Temple, Hawa Mahal, Rambagh Palace, Albert Hall Museum, Laxmi Narayan Mandir (Birla Temple), and Jantar Mantar Observatory. Explore local markets and bazaars in the evening. Get back to the hotel on time for dinner and overnight stay. After breakfast check out from the hotel in Jaipur. Leave for Delhi by road. Freshen up and relax. Spend the rest of the day at leisure or enjoying your own individual activities. You may go to explore the city on your own to see some other attractions. Dinner and overnight stay will be at the hotel. Take breakfast at the hotel. Our representative will assist to transfer you to the New Delhi International Airport to board the flight for Port Blair (Andaman & Nicobar). On reaching Port Blair, our representative will meet and transfer you to the pre-booked hotel. Freshen up and relax. Later Proceed to sightseeing of Cellular Jail and at 6.00pm view the light & Sound show. Overnight stay at Port Blair. Early morning with packed breakfast at 6.00 am, proceed to Port Blair Harbour to board cruise connecting to Havelock Island. Havelock Island with Beautiful sandy beaches fringed by green canopy of rainforest, Havelock Island beckons everyone to enjoy the fun of azure blue sea. On arrival at Havelock Jetty, Transfer to Hotel, Later proceed to world famous Radhanagar Beach which shot to global fame when Times Magazine rated this beach as finest beach in Asia. Later Back to hotel. Rest of the day at Leisure at the hotel. Overnight stay at Havelock Hotel/Resort. Today morning, proceed to Elephanta Beach, Enroute if interested you can go for snorkelling. Elephanta beach offers beautiful white sand beach along with an amazing coral reef which starts at a depth of less than a metre. This beach is a great place for lying on the beach and relax. The scenic beach with fallen trees and white sand gives the photographer some interesting shots. The large reef is mostly made of hard coral with plenty of marine life. Later proceed to Kalapather Beach by road. Overnight stay at Havelock Hotel/Resort. (If you like water activity we suggest you carry extra clothes /towel on this day). After breakfast, proceed to Neil Island boat jety to board cruise to Port Blair. On arrival at Port Blair Harbour, transfer to hotel. 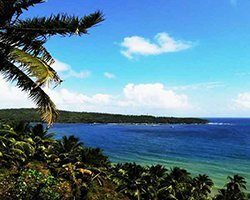 Later proceed for half day Port Blair sight-seeing visiting Anthropoligical Museum, Fisheries Museum, Samudrika Museum (Naval Marine Museum) & Corbyns Cove Beach which is a picturesque beach ideal for swimming and sun basking. Overnight stay at Port Blair Hotel/Resort. Morning at 9.00am, proceed to Mount Harriet, After lunch visit Chidiyatapu Island which is the southernmost tip of South Andaman Island. The lush green mangroves and forest provides shelter to numerous chirping birds and provides a perfect view during sunset. Later return back to Port Blair via Joggers Park which is situated at one of the highest point in Port Blair and provides panoramic view of the Port Blair Airport. Evening free to explore on your own or shopping. Overnight stay at Port Blair Hotel/Resort. After breakfast pack your baggage’s with a promise to return once again to this paradise.... Check-out and proceed on time to board your flight to your home with sweet memories of your holidays. We await for your next visit ... Bon Voyage. Service ends.